An interview with a member of Cruise Control, a Montreal-based collective that is researching and raising awareness about police crackdowns in gay cruising areas. 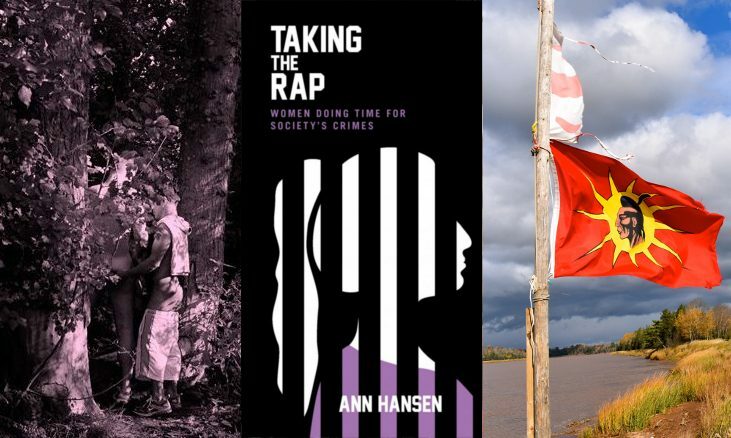 Conversation with a former political prisoner in Canada about her experiences in the federal system and her recently published prison memoir. We discuss changing prison conditions in the now-closed Prison for Women (P4W) in Kingston and Grand Valley Institution in Kitchener, the importance of relationships with other women in prison, legal and political strategy following her arrest, the difficulties of telling stories about one’s life and other people in it, and more. A few weeks ago we took a road trip out east for the Halifax Anarchist Bookfair and to visit friends and family. We had the opportunity to visit the Treaty Camp established by Mi’kmaq people to protect the Shubenacadie River from an Alton Gas Project. I sat down with Dale Poulette who is one of the people holding down the camp on a daily basis. He cut his teeth at the anti-fracking reclamation camp in Elsipogtog (Rexton). Dale describes daily life at the camp, tells some funny stories, and opens up about the importance of ceremony, where he gets his strength and his take on the future of this world.